The MACK Group, LLC (MACK) recently completed a project that consisted of the asbestos abatement of twenty rail tanker cars that were formerly used for transporting bulk liquids for a chemical manufacturer. 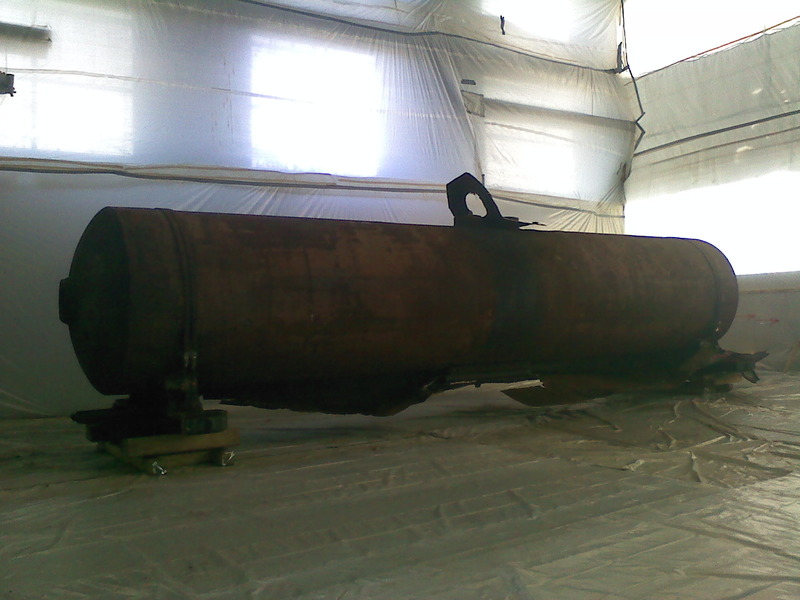 The project consisted the proper asbestos abatement and removal of 25,000sf of asbestos tank insulation on twenty outdated rail tanker cars. The owner needed the asbestos removed properly before the demolition and scrap salvage could take place. The MACK Group, LLC. utilized a large containment with HEPA negative air filtration units, cranes, forklifts and six of there NJ licensed asbestos workers to bring in the project ahead of schedule and without injury. The MACK Group, LLC is one of the premier contractors in the United States offering nationwide services including asbestos abatement, asbestos removal, demolition, biological/chemical remediation, duct cleaning, mold remediation, flooring removal and shot-blasting.